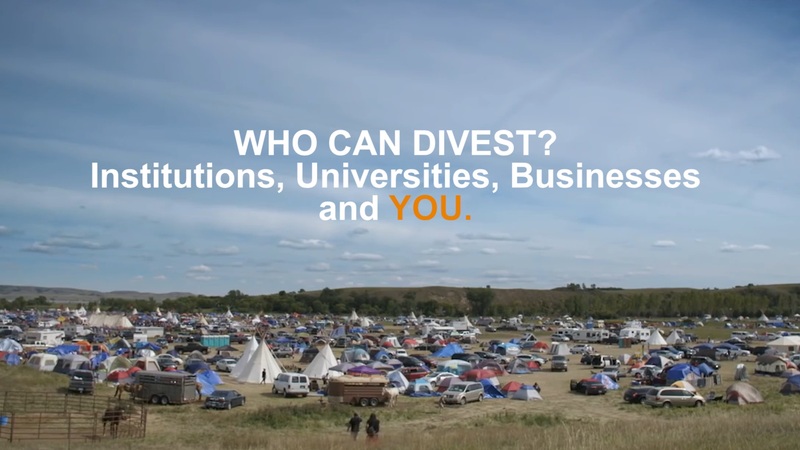 How To Divest – Every time you spend money, you're casting a vote for the kind of world you want! Does your bank support the construction of the DAPL? Bank of Nova Scotia is funding the DAPL. Citizens Bank is funding the DAPL. Commerce Bank is funding the DAPL. US Bank is funding the DAPL. GOOD NEWS: As of May 15, US Bank has pledged to divest from the Dakota Access Pipeline! This bank is now APPROVED. PNC Bank is funding the DAPL. Barclays is funding the DAPL. JP Morgan Chase is funding the DAPL. Bank of America is funding the DAPL. Deutsch Bank is funding the DAPL. Credit Suiss is funding the DAPL. Royal Bank of Canada is funding the DAPL. UBS is funding the DAPL. Goldman Sachs is funding the DAPL. Morgan Stanley is funding the DAPL. Community Trust is funding the DAPL. HSBC Bank is funding the DAPL. Wells Fargo is funding the DAPL. BNP Paribas is funding the DAPL. DNB Capital/ASA is funding the DAPL. Suntrust is funding the DAPL. Royal Bank of Scotland is funding the DAPL. BBVA Compass is funding the DAPL. Sumitomo Mitsui Bank is funding the DAPL. Bank of Tokyo Mitsubishi UFJ is funding the DAPL. Citibank is funding the DAPL. Mizuho Bank is funding the DAPL. TD Securities is funding the DAPL. Credit Agricole Bank is funding the DAPL. ABN Amro Capital is funding the DAPL. Intesa Sanpaolo is funding the DAPL. ING Bank is funding the DAPL. Natixis is funding the DAPL. BayemLB is funding the DAPL. ICBC London is funding the DAPL. Societe Generale is funding the DAPL. Throughout the 70s and 80s, the National Union of Students utilized divestment as a decisive tactic in the fight against apartheid in South Africa. In particular, the students targeted Barclay’s Bank, closing tens of thousands of accounts and shrinking the bank’s market share by 10% over two years. Due to the pressure, Barclay’s announced that it would no longer be funding the Cahora Bassa dam project in Mozambique. In fewer than 10 years, approximately $350 million had been withdrawn from South Africa with Barclay’s pulling out completely due to the pressure from the NUS and other student union divestment campaigns. Transfer money to a local credit union/ethical bank. Allow two weeks for pending transactions to clear. Looking for an Alternative Bank? Want to boycott bad companies? Download Buycott, Chrome's extension that helps you to boycott bad companies. This includes, but isn't limited to, all companies that are funding DAPL, doing business with Trump, or using prison labor. Click icon to download Buycott Now!